Your tax refund reflects how much money you lent the government during the year. 2. How Much of Federal Withholding Do I Get Back? The amount of money you have withheld from your paycheck is an estimate. You guess how much you will owe based on the number of exemptions you choose on your W-4 form. If you consistently receive a refund, you have in effect lent the government money, interest-free, each year. You can change your withholding so that you break even at tax time. If you get married, have a child, buy a house or start a business, your income tax deductions will change. Each of these events could cause you to owe more or less tax. 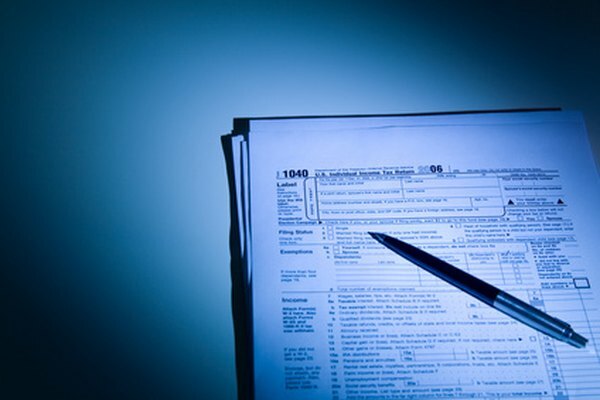 Though you may not be able to tell exactly how much your taxes will change, you can make an estimate. Ask your employer for a new W-4 form. Claim at least one more personal exemption than you claimed on the first W-4 form you filled out. This will reduce your tax withholding, because the additional exemption means you will likely owe less tax. If you still receive a refund, you know you did not claim enough personal exemptions. Ask again for a new W-4 form and add a personal exemption. Make sure your life changes do not indicate you will owe more taxes. This could occur through a divorce, a sudden rise in business income or the loss of a mortgage deduction because you sold your home. You don't want to take so many exemptions that you end up owing money at tax time. When you stop lending money to the government, you can invest the money you normally get through a refund by contributing it to a retirement account, investment account or a savings account. The money will be working for you. Are Parents of Five Kids Eligible to Be Tax-Exempt? Why Aren't They Taking Out Enough Federal Taxes From My Paycheck? How Often Can You Change Your Payroll Exemptions? What Is My Tax Bracket With Dependents? How Much Money Needs to Be Withheld in Order to Receive a Tax Refund?